Brent Celek at the Super Bowl Media Night. The Eagles released tight end Brent Celek on Tuesday, saying goodbye to the team's longest-tenured player after 11 seasons. Celek, 33, is one of the best tight ends in Eagles history. But his production has waned in recent seasons and the Eagles will save $4 million in salary cap space by releasing him. A 2007 fifth-round pick, Celek played all but one game during his 11-year career. His 175 regular-season games rank fourth in franchise history, behind David Akers, Brian Dawkins, and Harold Carmichael. He had 398 catches for 4,998 yards and 31 touchdowns. The receptions rank fourth in franchise history, and the yardage ranks eighth. Celek finished with only 13 catches for 130 yards and one touchdown last season. He was used mostly as a blocking tight end. His best season came in 2009, when he finished with 76 catches for 971 yards and eight touchdowns. With the departure of Trey Burton, the Eagles now return only Zach Ertz at tight end. Finding tight-end depth will be a big need this offseason. 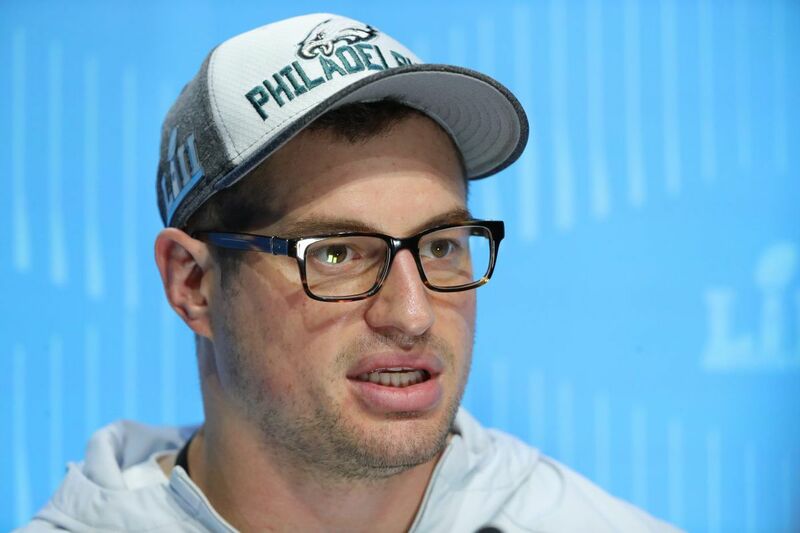 "Brent Celek defines what it means to be a Philadelphia Eagle," the organization said in a statement, "His dedication to his profession and this organization is unmatched, and he will go down as one of the best tight ends in franchise history. Brent embodied the city of Philadelphia's temperament and character with his toughness and grit. He has been a huge part of everything we have been building over the last decade, and it is only fitting that he was able to help us win our first Super Bowl last season. Unfortunately, in this business, we are forced to make difficult decisions, especially this time of the year. This one is as tough as they come, but in our eyes, Brent will always be an Eagle."